The 2018-2019 Membership Drive is Underway! Free or heavily discounted cooperative advertising in local media, i.e., radio, newspaper, and social media. The OBA is committing to spend a designated amount each month with local media to help promote the businesses and services of OBA members. Listing in the new, interactive OBA Member Directory on the website that each member has the ability to maintain and advertise from. Referrals – OBA first refers inquiries to other OBA members. Help with and promote special events such as ribbon cuttings, business anniversaries and open houses. OBA mailing list provided upon request. Window decals provided to all members which informs customers of your support of the OBA. Spotlight on business articles in local news outlets, as well as the often-sent OBA email blast. Annual awards dinner which unites businesses, organizations, and individuals for networking and recognition. Social networking opportunities and workshops. ​Half price booth at the June Fling event (non-transferable; must be used by OBA member). Speakers at General Membership Meetings to cover relevant topics of local interest. Events that draw people to town, i.e., Classic Cruise-In Car Shows, June Fling, Singing Showdown, Holiday Decorating, Festival of Lights etc. Community service projects like clean-up projects, purchasing benches, continuing to provide downtown music, etc. Plus much more! 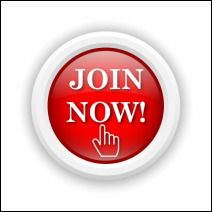 Just click on the JOIN NOW icon at the top of the page to download a membership form. For a list of ALL OBA current members, click here.